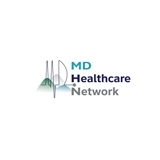 MD Healthcare (Margate) - Book Appointment Online! Sunset Strip Medical Center offers wheelchair accessible pick up and drop off service within a 5 mile radius. We will come right to your door! Sunset Strip Medical Center opened its doors in July 1998 with only one physician and one chart with a vision to grow into an all-inclusive medical center that is comprehensive and affordable to all. In the subsequent years, the Center has grown to include Board Certified physicians in Internal Medicine and Family Practice and a Physicians Assistant with over 2,000 charts - taking it beyond the typical level of health care. Our Physicians and PA's have outstanding skills and intellectual rigor that we value. Their expertise deepen our knowledge base and we consider ourselves fortunate to have such a broad array of talent. We know that it's the key to providing the greatest impact on the health and well-being of our patients. good but i was referred out to ther drs but i understand My insurance co told me I was all sey with dr pardell and i mde my payment, None of that was in the ins co system and dr pardell staff was vet nice and pt and we straightened it out. My apt was made through them and not you.